When Scott and I were in Taiwan last year, we visited Taipei 101 and I saw a bunch of pandas painted on the wall there. My cousin told me they had a panda exhibit, but that I had missed it! 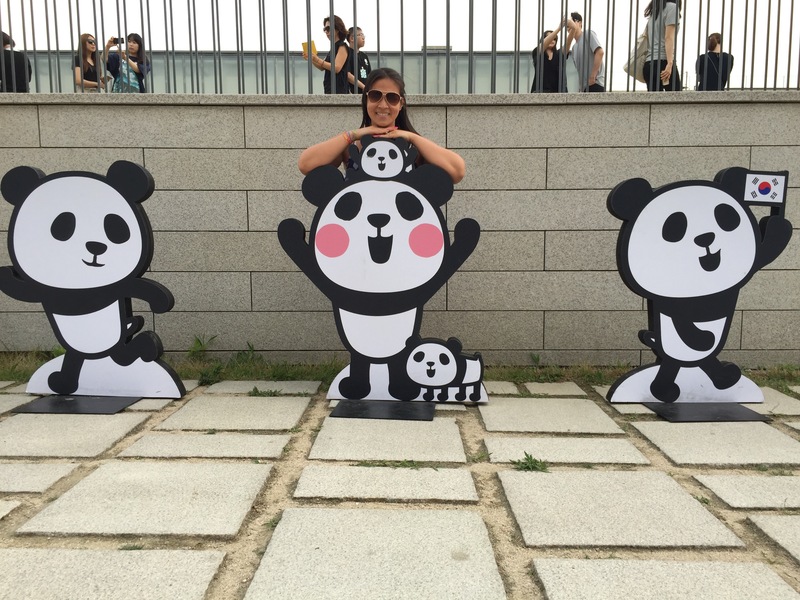 I was very sad until I recently found out that the pandas are traveling around here in Korea!!!! 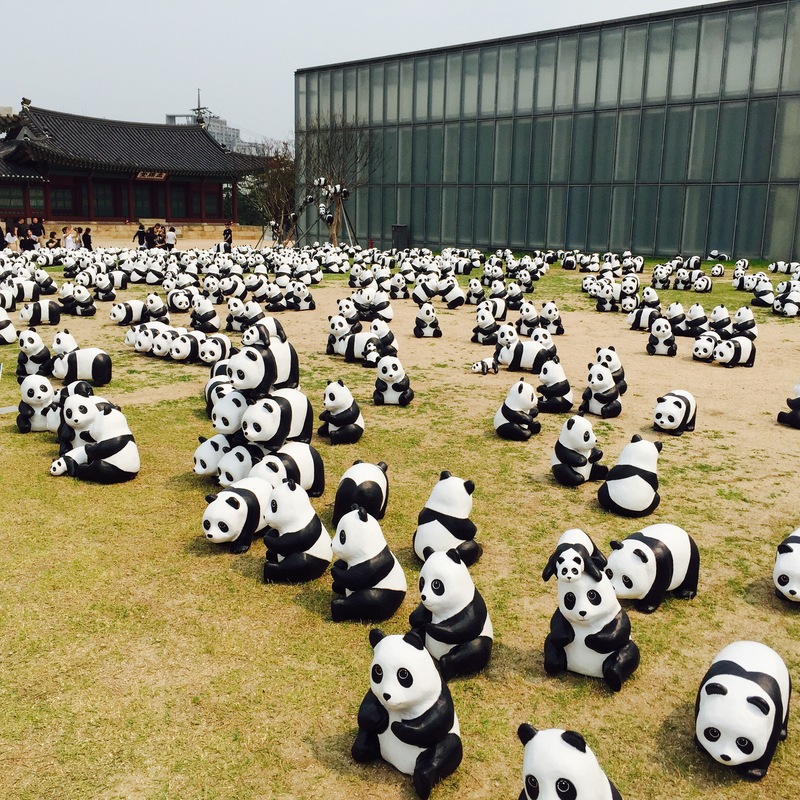 So don’t get the wrong idea, these are 1600 paper mâché pandas, not live ones, but it is still fun and adorable! These pandas are part of a collaboration which began in 2008 between WWF-France and artist Paulo Grangeon, who handcrafted 1600 pandas, which was the number of existing pandas left in the wild. These pandas have been busy traveling the world to increase public awareness of wildlife conservation. We were able to see them at the National Museum of Contemporary Art (Seoul Branch). You can check the group out at: http://www.1600pandas.kr and also see the schedule of where the pandas will be next!